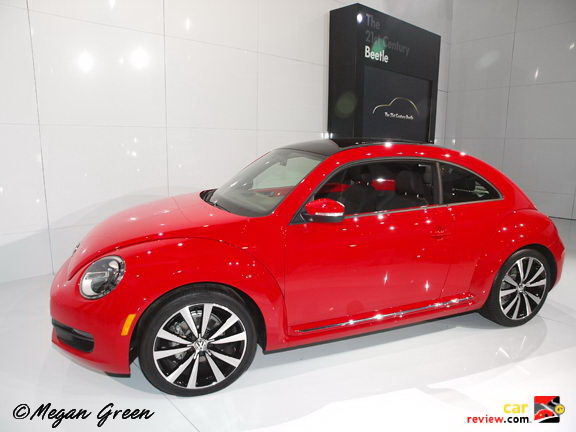 Volkswagen had the glow of a proud papa announcing the 2012 Volkswagen Beetle at the New York International Auto Show today. 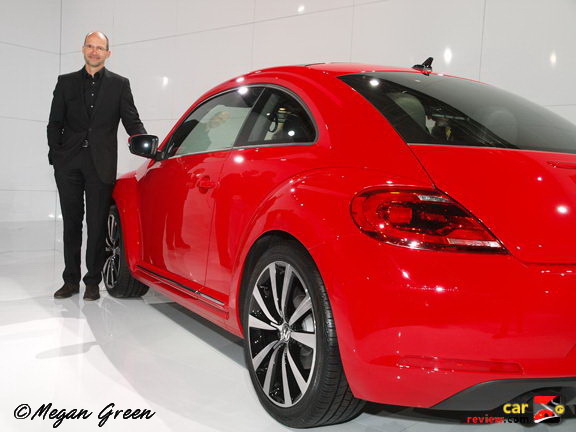 Looking to shed its feminine demeanor, VW redesigned the Beetle with the aim at attracting a more masculine audience. Gone is the flower vase that used to occupy the center dashboard area and the cavernous roof area. The revamped version gets some exterior tweaks that lend it a more sporty and dynamic look. 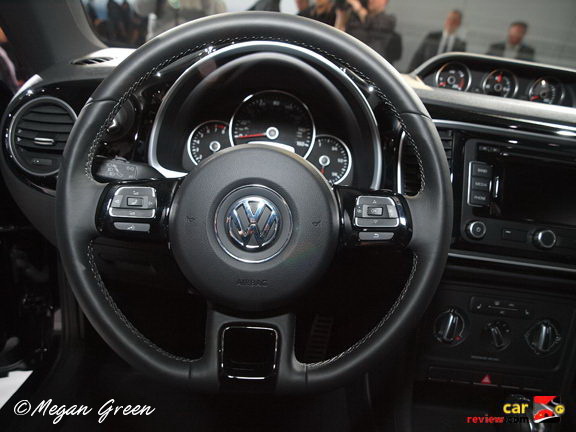 The 2012 Volkswagen Beetle will be equipped with a 170 horsepower 2.5-liter five cylinder gasoline engine, a 2-liter diesel or a 2-liter turbocharged gas engine. Transmission choices include a 5-speed manual, 6-speed automatic or 6-speed dual-clutch version, depending on the model. 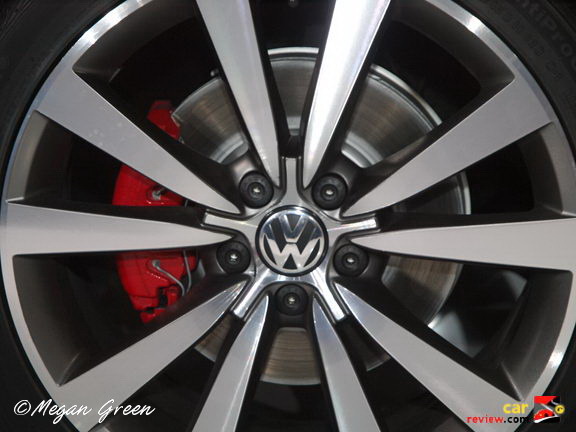 The quiet, four cylinder 2.0L TDI Clean Diesel engine produces 140 hp and 236 lb.-ft of torque. It meets all U.S. emission limits and offers 40 mpg highway, 29 mpg city, and 33 mpg combined (manufacturer estimates). The five cylinder engine produces 170 hp and 177 lb.-ft of torque. With a 10% increase of fuel economy over previous 2.5 liter engine models, VW estimates 22 mpg city and 31 mpg highway with the 5-speed manual and 22 mpg city, 29 mpg highway when mated to the 6-speed automatic. 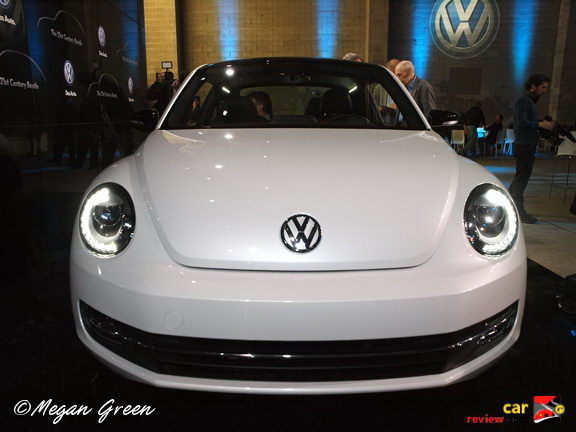 The 2012 Volkswagen Beetle will appear in the market by fall of this year and is scheduled to hit U.S. roads in September. 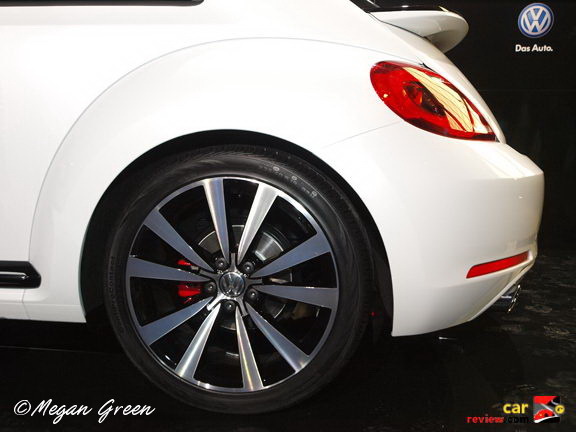 The base model of 2012 VW Beetle is expected to get a price tag of around $18,900 with the advancement of prices associated with higher trim levels of the new generation Beetle. It will reach Europe in October and will likely be available in Asia by February 2012. Follow the jump to read details from the VW press release, view photos, and watch the video. Toyota Prius Minivan In The Works?